China’s recent climate-energy policy, an outcome of contemporary challenges, has generated conflict of interest amongst major stakeholders. Coupled with a boost in demand for oil, gas and coal, as well as a rapid growth in wind and solar power, it has not only affected domestic fossil fuel and renewable energy providers, but has also provoked a resource boom, affecting development pathways internationally. 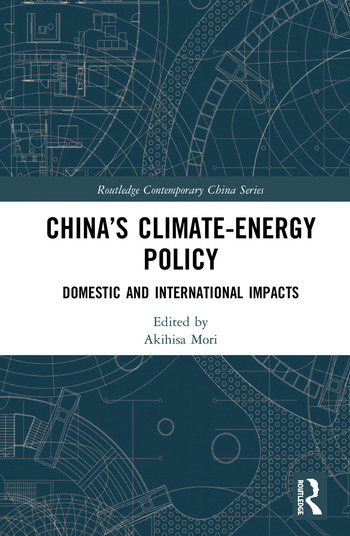 This book therefore seeks to examine the economic, social and ecological effects associated with China’s climate-energy policy. Assessing how the policy has been and will be formulated and implemented, it analyses the changing use of energy, CO2 emissions and GDP, as well as social and environmental impacts both domestically and internationally. It presents in-depth case studies on specific policies in China and on its resource exporting countries, such as Indonesia, Australia, Myanmar and Mongolia. At the same time, using quantitative data, it provides detailed input-output and applied computable general equilibrium analyses. Arguing that China has actively advanced its climate-energy policy to become a leader of global climate governance, it demonstrates that China ultimately relocates the cost of its climate-energy policy to resource exporting countries. This book will be of great interest to students and scholars of energy, the environment and sustainability, as well as Chinese Studies and economics. Akihisa Mori is an Associate Professor of Kyoto University, Japan, and the Director and Secretary General of the East Asian Association of Environmental and Resource Economics. His recent publications include Green Growth and Low Carbon Development in East Asia (Routledge, 2015) and The Green Fiscal Mechanism and Reform for Low Carbon Development (Routledge, 2013).